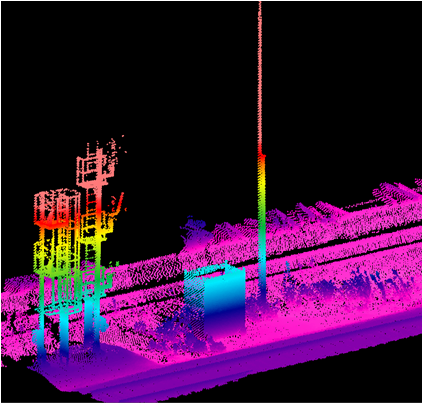 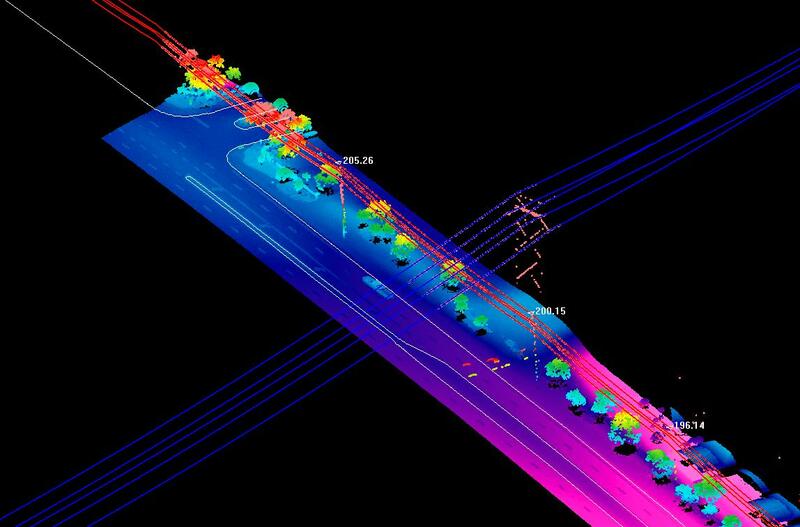 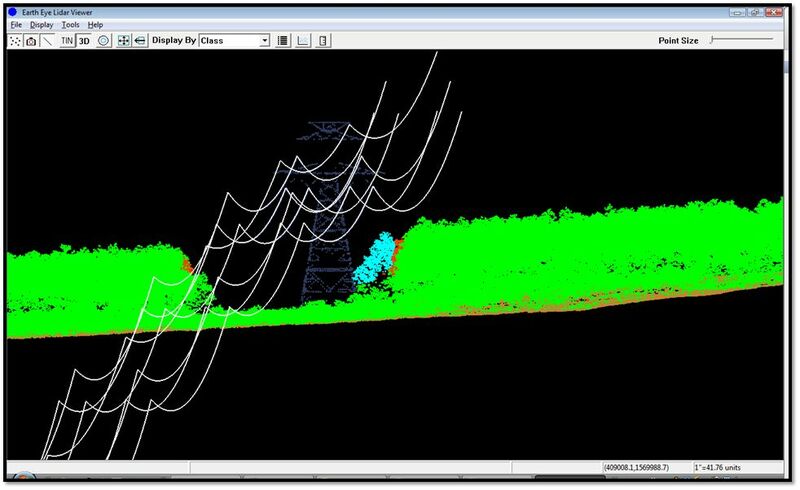 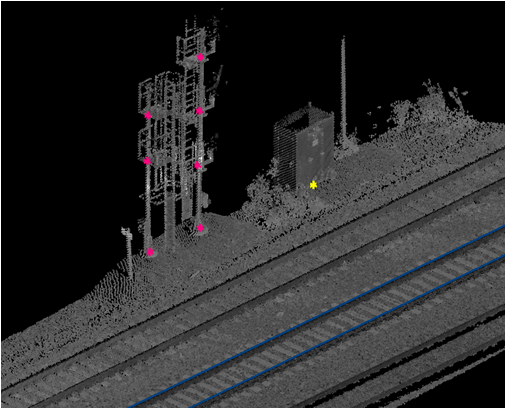 With the recent release of NERC’s “Recommendation to Industry” on October 7th, 2010, we have been contacted by many transmission companies to LiDAR their transmission lines. 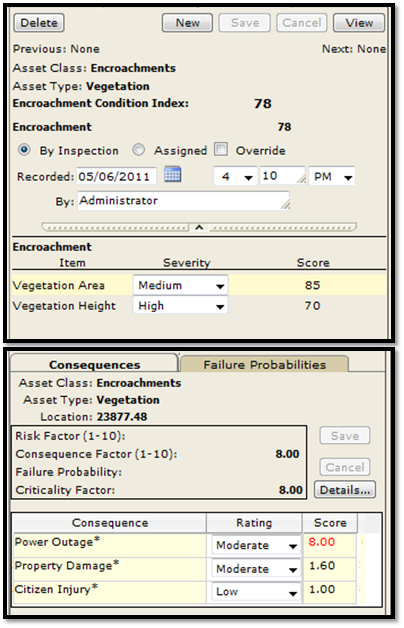 The recommendation asks all Transmission Planning Engineers, Transmission Maintenance Engineers and Transmission Planners to measure and report any “Facility Ratings” that do not meet their intended design criteria based on actual field conditions. 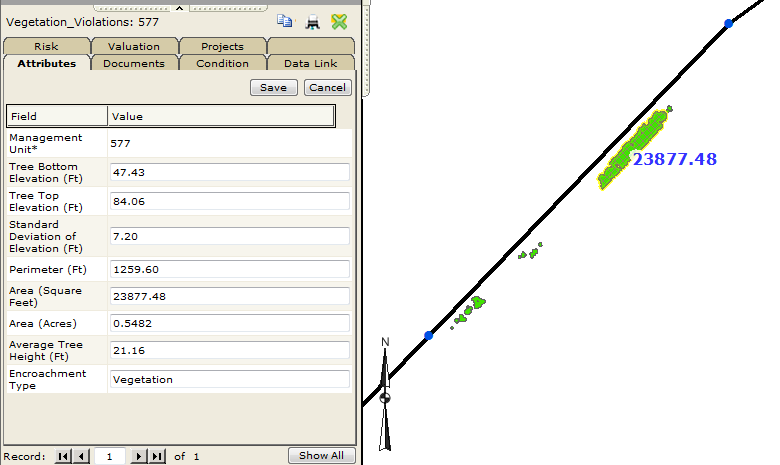 The plan to achieve this must be submitted to NERC by December 15th, 2010. 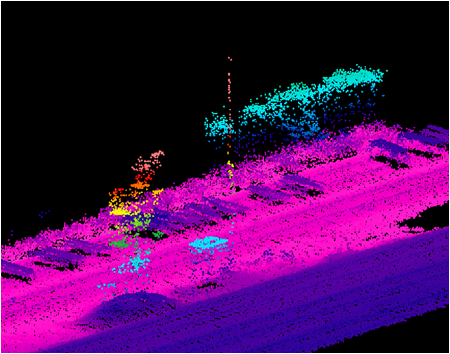 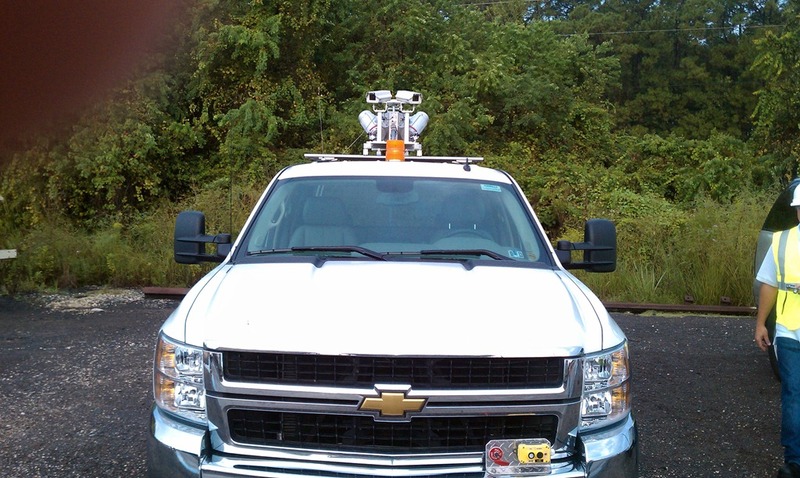 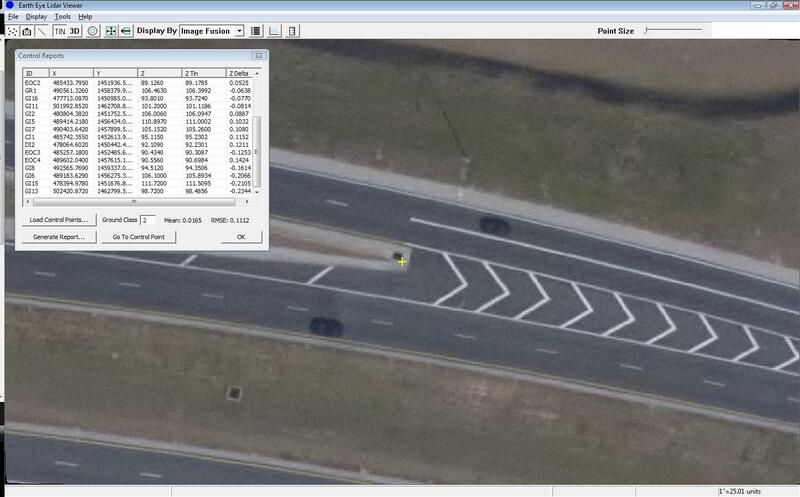 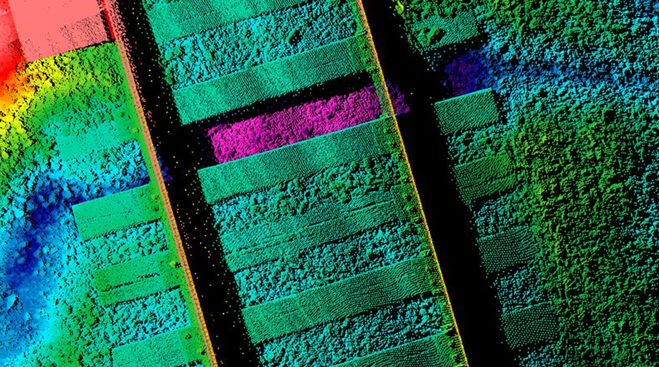 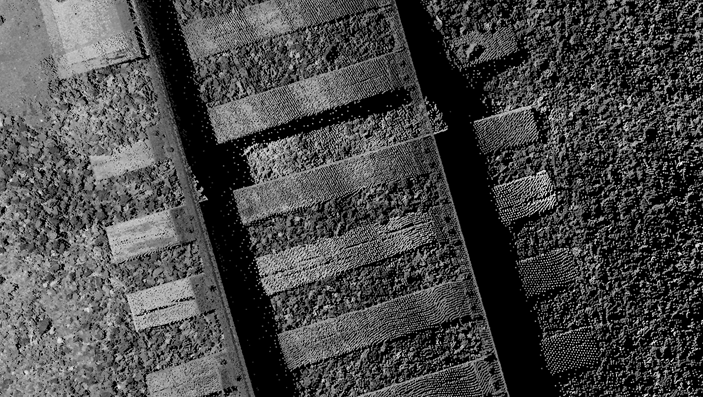 This post discusses how we are supporting the industry with this compliance effort utilizing LiDAR, imagery and spatial analysis. 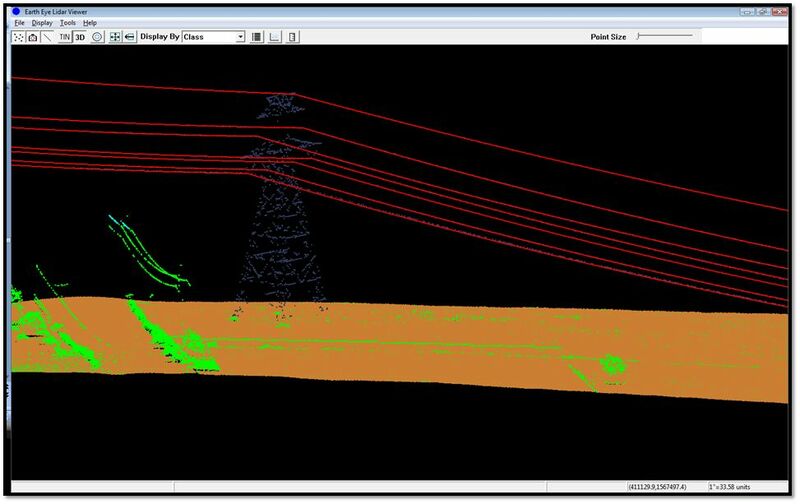 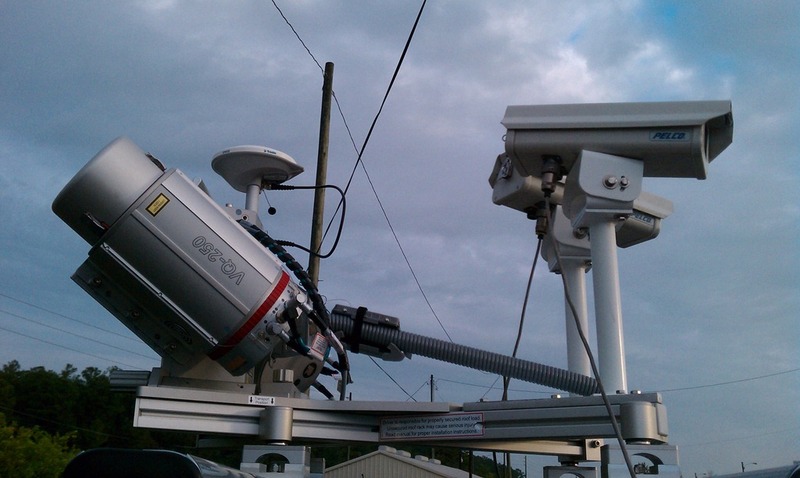 The first step in the process is the data collection effort focused on collecting precise powerline data and calibrating it to local control to achieve engineering-grade accuracies. 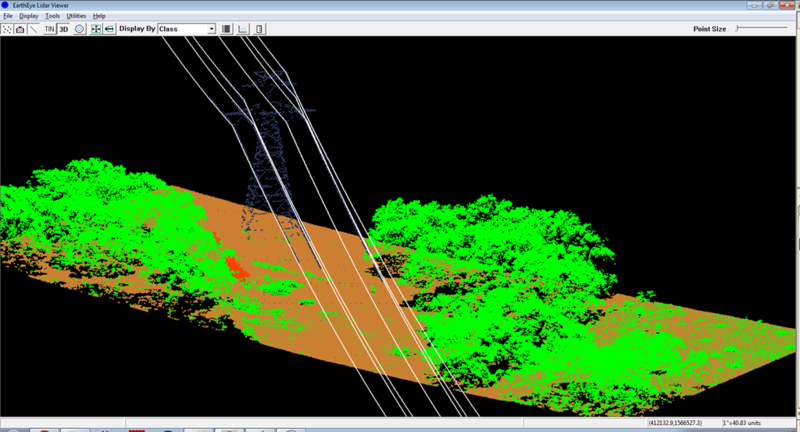 The next process involves the creation of 3D vectors from the point cloud. 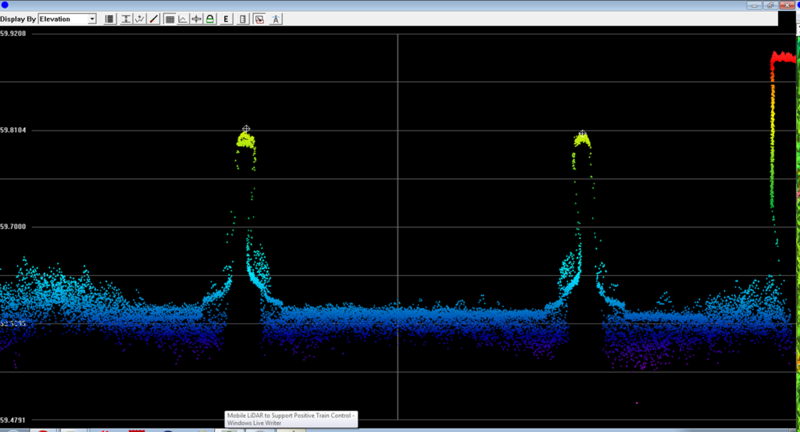 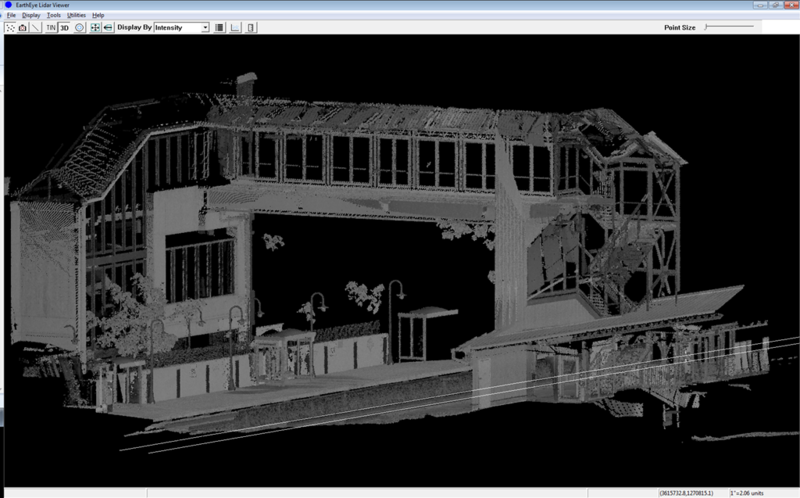 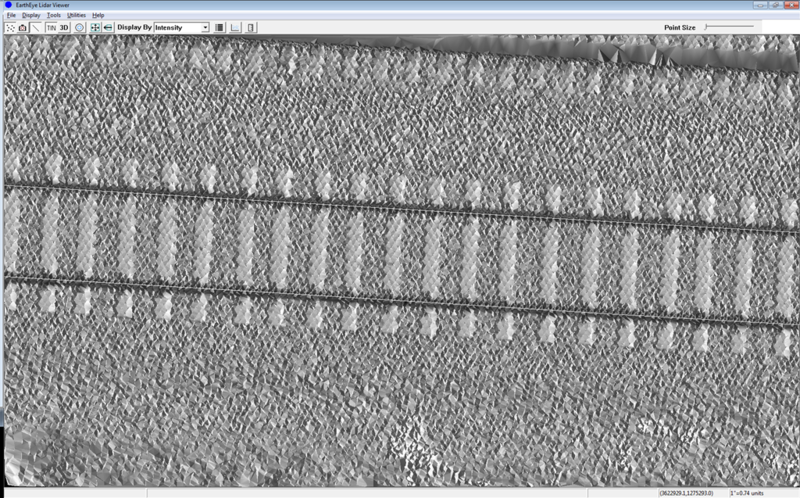 First, the raw point cloud is loaded into our Viewer. 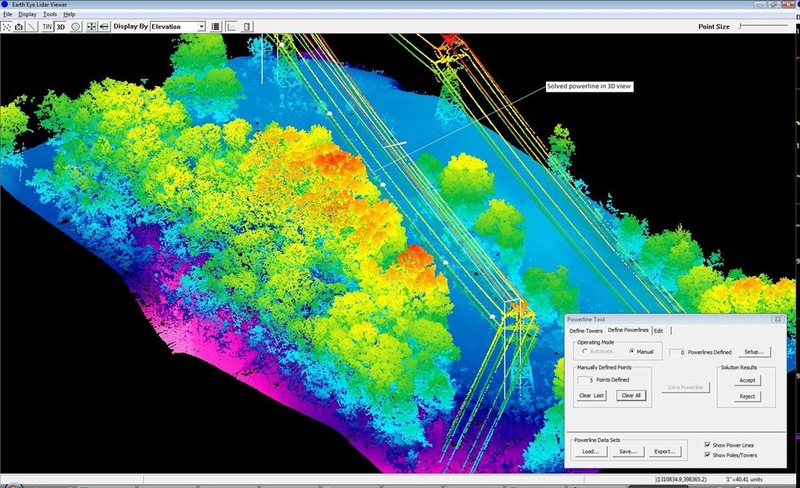 Once the lines are modeled, we work with the agency to define the search criteria for performing the spatial analysis and encroachment analysis in the software. 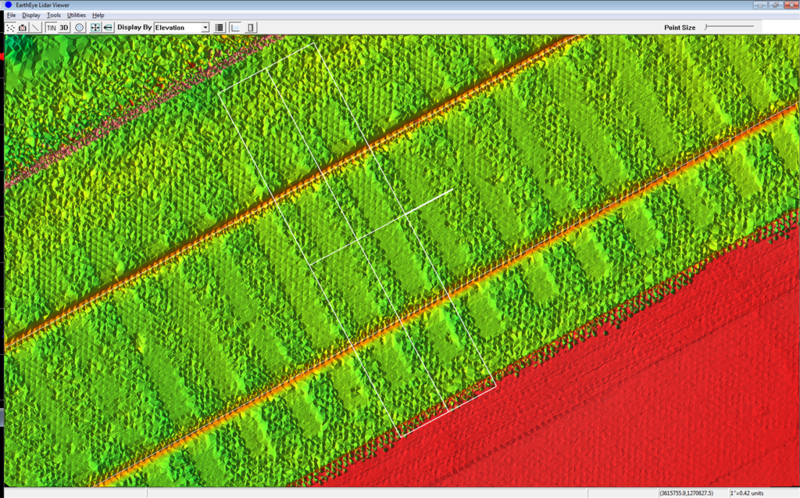 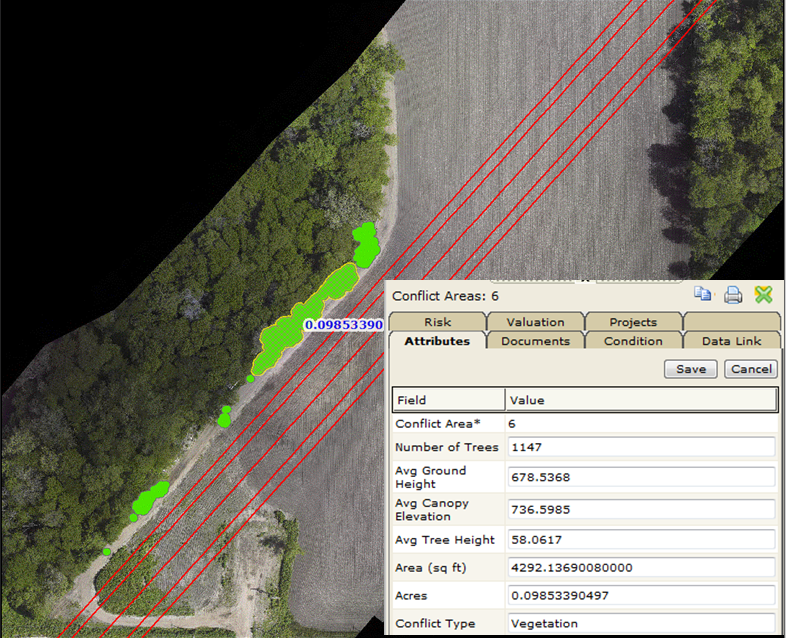 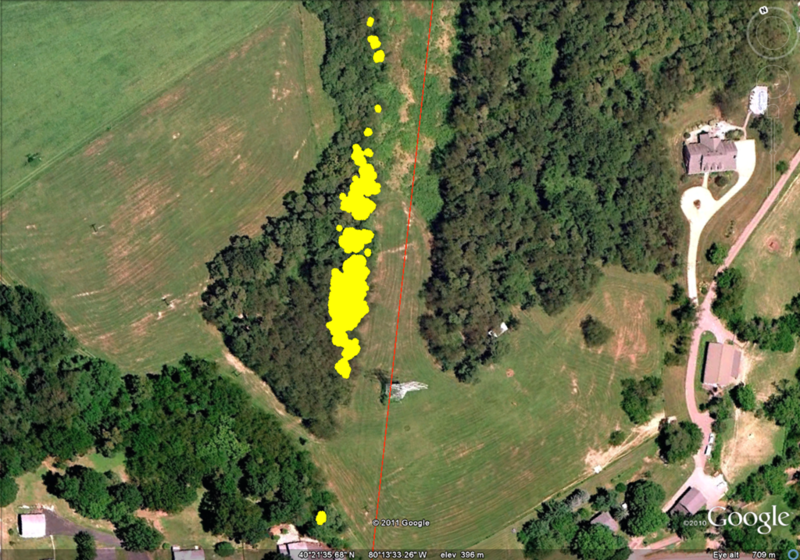 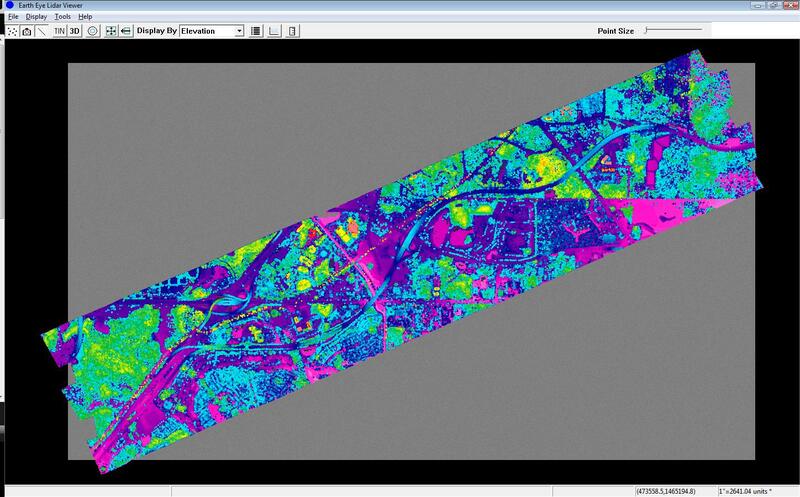 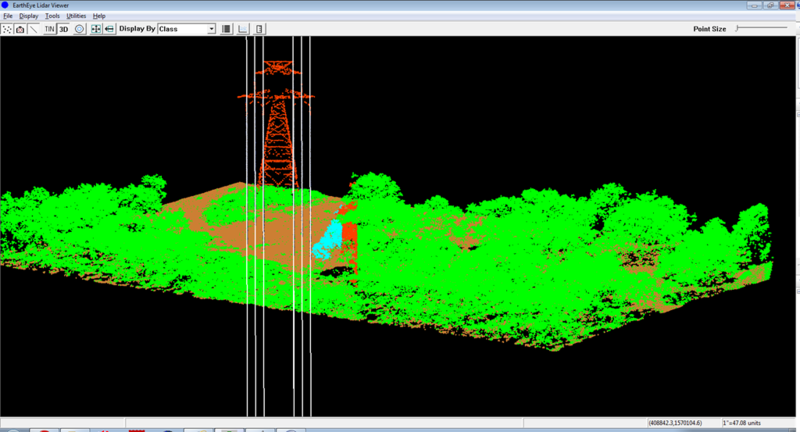 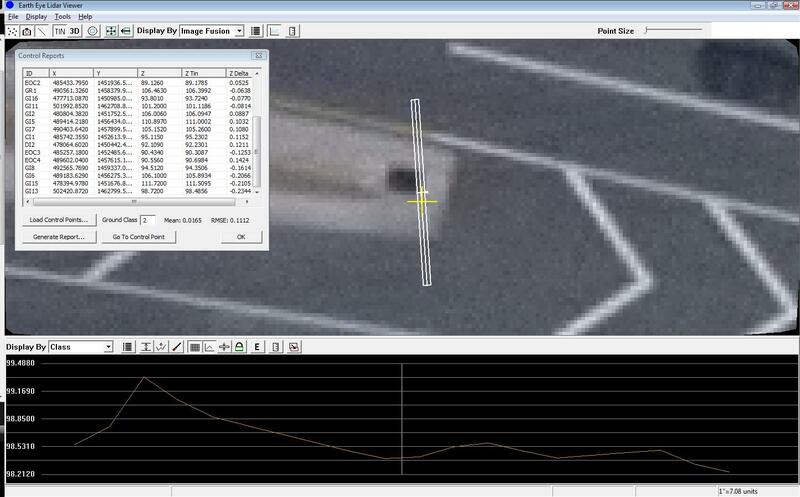 We load these parameters and automatically identify the encroachments related to vegetation features and conductors. 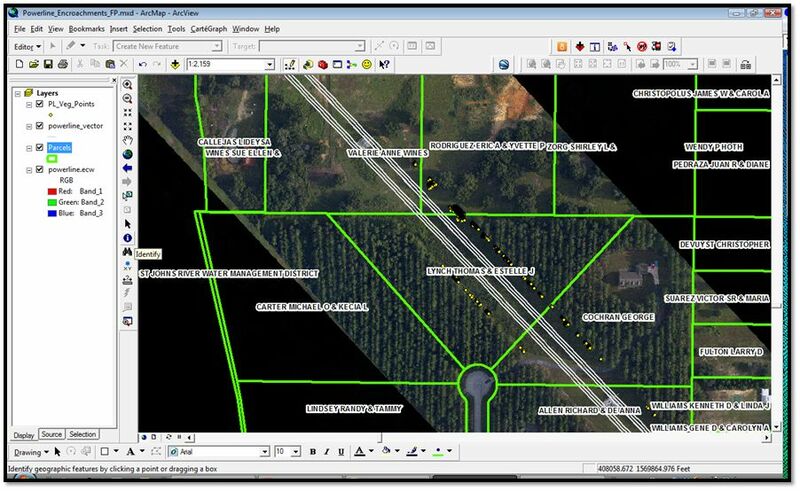 Parcel data is then used to deploy field crews and empowers them with local information in the case they need to determine who is responsible for vegetation encroachment and property access. 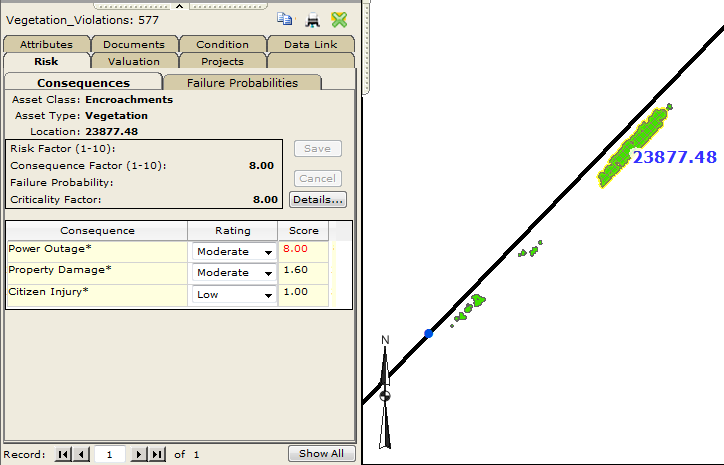 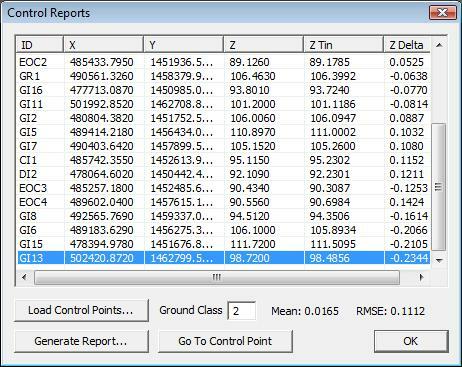 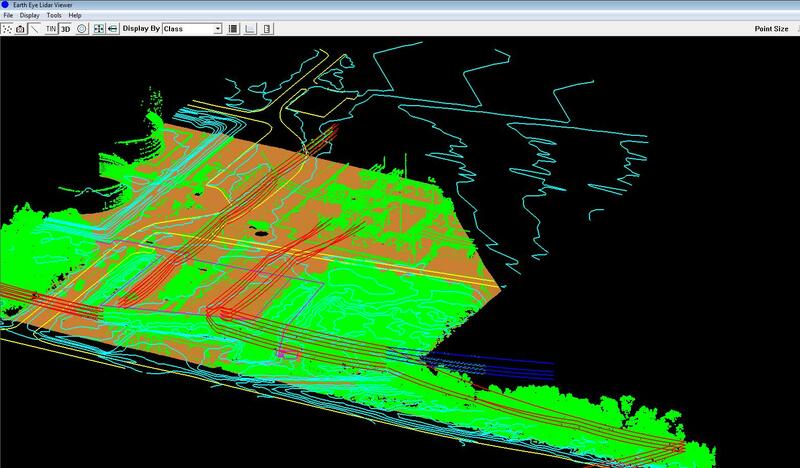 Planimetric data is also created so that the information can be used to update line drawings and as-built information. 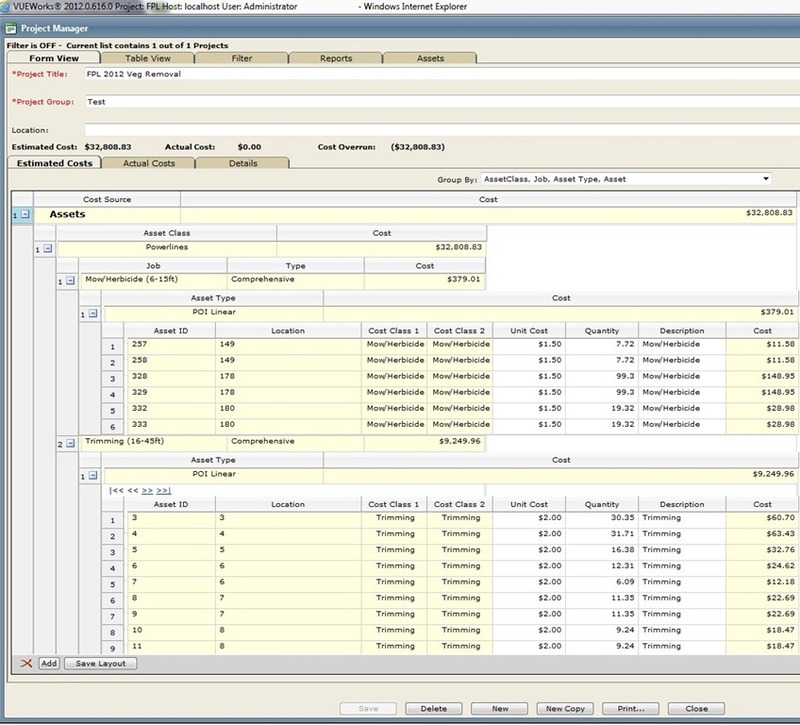 At the end of the day, we are able to generate many different types of deliverables for our clients. 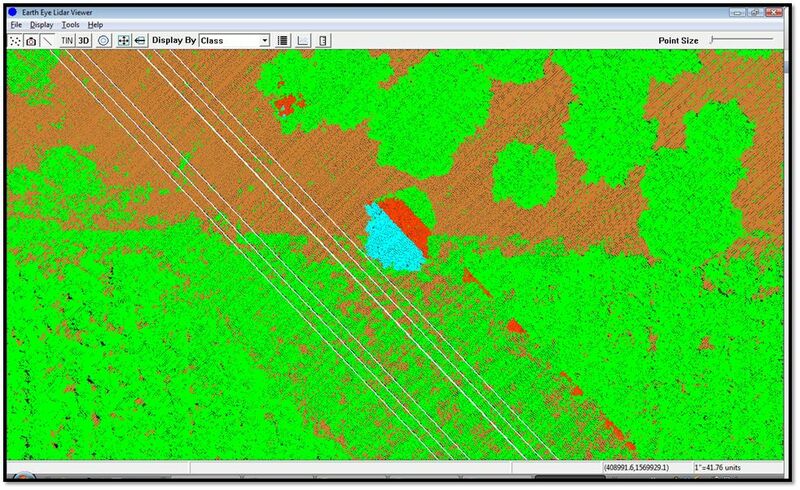 The keys to this process include accurate calibration of data, 3D vector generation, encroachment automation, and industry-specific delivery formats.